Inspired by millennia of artistic legacy, the new VX229H sports an elegant and precision-crafted sundial design. 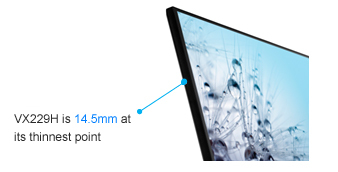 The VX229H features an edge-to-edge frameless panel with 178° ultra-wide viewing angle AH-IPS A+ panel for incredible visuals. It’s ultra-slim and ergonomic design can be tilted to provide you comfortable viewing experiences, while dual HDMI/MHL ports offers extensive connectivity options. 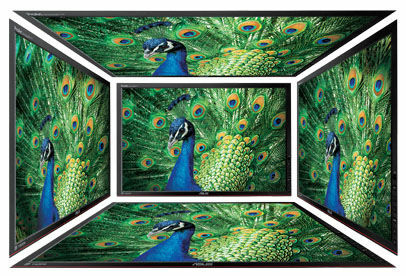 VX229H features a 16:9 aspect ratio LED-backlit AH-IPS A+ panel with a 178° wide-view angle that minimizes color shift on both horizontal and vertical planes to ensure quality visuals from almost any direction. AH-IPS is the latest in IPS technology – delivering improved color accuracy plus increased energy efficiency. VX229H comes with rich connectivity including Dual HDMI and D-sub so that users could easily connect it to Full HD Blu-ray Disc players and myriad HD playback devices like DVD players and set-top boxes for limitless entertainment and multimedia enjoyment with the built-in stereo speakers. ASUS includes its exclusive QuickFit Virtual Scale feature with the VX229H, allowing you to preview photos and documents on-screen in their actual size prior to printing. It can be activated via a monitor hotkey, and serves as a highly useful guide to accurately view and edit photos in their native size. Add to comparison list Print More Sharing ServicesShare Superior Image Quality Meets Frameless Elegant Design Inspired by millennia of artistic legacy, the new VX229H sports an elegant and precision-crafted sundial design. The VX229H features an edge-to-edge frameless panel with 178° ultra-wide viewing angle AH-IPS A+ panel for incredible visuals. It’s ultra-slim and ergonomic design can be tilted to provide you comfortable viewing experiences, while dual HDMI/MHL ports offers extensive connectivity options. 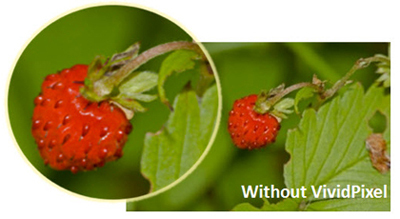 ASUS-exclusive VividPixel Technology The VividPixel Technology enhances outline, sharpness, and color saturation of images and videos to deliver high-quality visual experience. Extensive Connectivity and Built-in Stereo Speaker for Multimedia Enjoyment VX229H comes with rich connectivity including Dual HDMI and D-sub so that users could easily connect it to Full HD Blu-ray Disc players and myriad HD playback devices like DVD players and set-top boxes for limitless entertainment and multimedia enjoyment with the built-in stereo speakers. 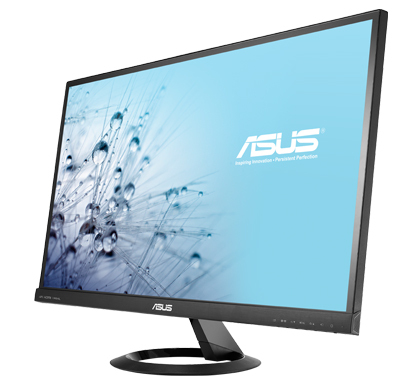 80,000,000:1 ASUS Smart Contrast Ratio With ASUS Smart Contrast Ratio (ASCR) of 80,000,000:1 and 250cd/m² brightness, VX229H augments display contrast and sharpness by adjusting backlighting luminance to achieve the deepest blacks and brightest whites for truly lifelike visuals Splendid™ Video Intelligence Technology The exclusive Splendid Video Intelligence Technology optimizes video performance and image fidelity by enhancing color, brightness, contrast, and sharpness. 6 preset video modes (Scenery, Theater, Game, Night View, sRGB and Standard) can be selected via a hotkey. 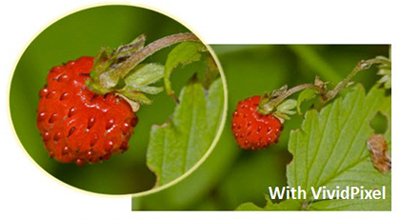 ASUS-exclusive VividPixel Technology The VividPixel Technology enhances outline, sharpness, and color saturation of images and videos to deliver high-quality visual experience.